Click on the links below to read the poems. 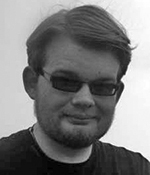 Kieran Fattorini's poem Inanna in the Underworld was written when he was studying the Sumerian text of Inanna's descent into the underworld as part of his degree at Birmingham University. 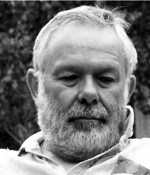 Anthony Fisher organises, with his wife Valerie, a monthly poetry event which celebrated its tenth anniversary in 2010. The poets and poetry enthusiasts meet in Salisbury House, a fine 400 year old building from the reign of Queen Elizabeth I, located in Enfield, a pleasant suburb of London. This poem wonders at the origins of written poetry in Sumer and pays tribute to the world’s first named poet, Enheduanna. She was the daughter of King Sargon of Akkad and high-priestess at the temple of the moon-god in the city of Ur in about 2300 BCE. 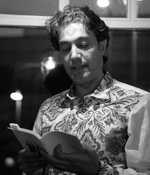 Ghareeb Iskander is an Iraqi poet living in London. He seeks his dreams of Baghdad in London’s mist, as well as other poetic themes, such as the sea, exile, strangeness, love and sadness. 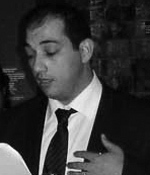 Amal al-Jubouri is an a native of Iraq, now living and writing in London. 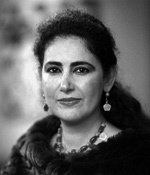 She is the author of five collections of poetry in Arabic including Enheduanna, Priestess of Exile (1999). Abdulkareem Kasid was born in Iraq. He lived in Kuwait, Yeman, Algeria and Syria before settling in London. He has degrees in philosophy and translation, and was a teacher for many years. 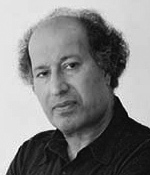 He has published several collections of poetry and translated poems from French into Arabic. Nineb Lamassu is an Assyrian-Iraqi poet and scholar of Mesopotamian languages and literature. Fluent in five languages, the languages Nineb writes in include his mother-tongue, modern Aramaic.